Does tapatalk not work for this forum, I can load it in the app albeit takes a good 30 seconds to populate the default view, but I cant load any posts or manually surf. I get the following error when trying to open a post. 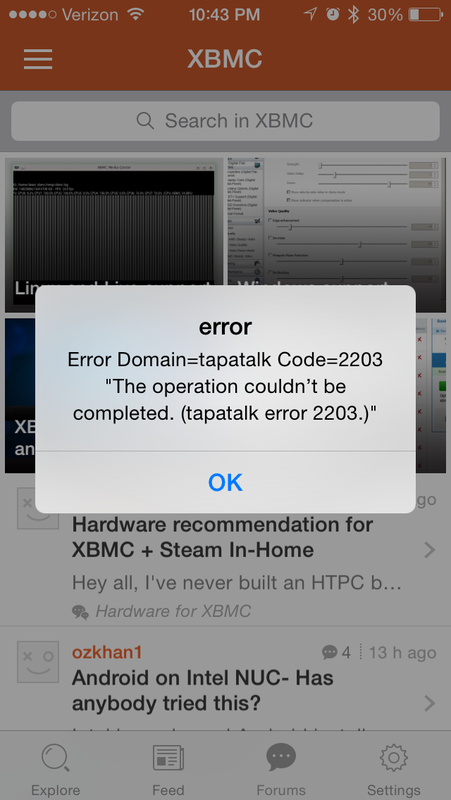 It's an IOS only issue - try clearing the cache or removing and reinstalling the app. We'll see if we can update the plugin on our end to the latest version as well.